You can also perform a more selective search for churches in the Brocklesby area or see them printed on a map. There used to be a convent of nuns in the hamlet of Nun Cotham, hence the name. They were in the Cistercian order and the nunnery was founded in the reign of Henry I. The Anglican parish church is a stone building dedicated to All Saints. The church was restored in 1852. A photograph of the Anglican parish church is at the Wendy PARKINSON English Church Photographs site. David WRIGHT has a photograph of All Saints Church on Geo-graph, taken in January, 2006. The Anglican parish registers date from 1538 (Some sources give 1672). Brocklesby is a village and a parish about 7 miles north of Caistor and 10 miles west of Grimsby. The parish includes the hamlets of Little Limber, Newsham and Nun Cotham. The parish covers over 3,930 acres. 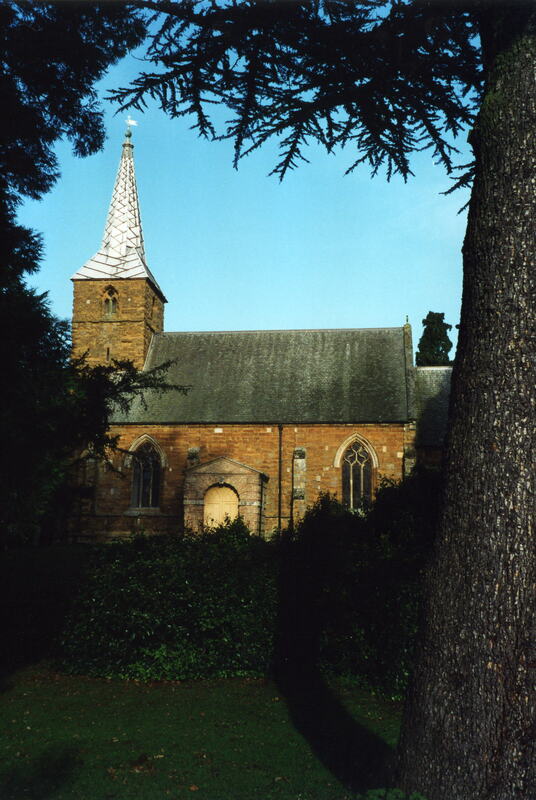 Peter Fairweather has a site with information on the village and its church. Many folks in north Lincolnshire come here each year to select and cut a Christmas Tree. Ask for a calculation of the distance from Brocklesby to another place. You can see the administrative areas in which Brocklesby has been placed at times in the past. Select one to see a link to a map of that particular area. Prince Albert visited Brocklesby Park in 1849. Brocklesby Hall was listed in 1913 as "a noble mansion" with many fine pieces of art. The east wing was destroyed by fire in March, 1898, and subsequently rebuilt. There is a detailed history of Brocklesby Park online. The national grid reference is TA 1311. There is an alabaster and green marble memorial inside the parish church to the residents of the parish who fell in World War I. There is an alabaster memorial inside the parish church to Lieut. Charles Sackville PELHAM who died at Zandvoorde on 30-Oct-1914, age 27. In March, 1887, the Newsham portion of this parish was annexed to the Immingham Civil Parish. Kelly's 1913 Directory of Lincolnshire places the parish, perhaps erroneously, in the North Lindsey division of the county. The parish has a local Parish Council to deal with civic and political issues. After the Poor Law Amendment Act reforms of 1834, this parish became part of the Caistor Poor Law Union. The children of this parish attended school in Limber.